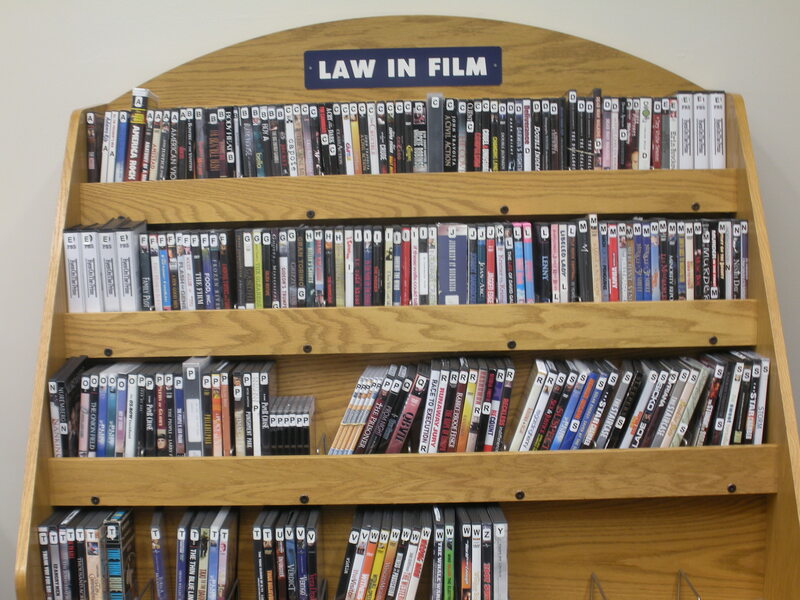 Part of our law library collection is the Law in Film Collection, which is housed on the main level of the library in the student lounge. 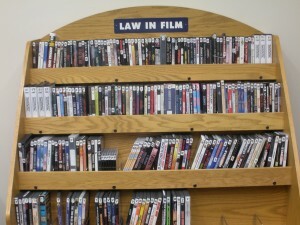 All patrons with borrowing privileges may check any of the movies out at no charge for up to 5 days. The following are our most recent additions to this collection. Come by and check it out! The Ghosts In Our Machine (Bullfrog films and Ghosts Media presents; directed by Liz Marshall; produced by Nina Beveridge and Liz Marshall; written by Liz Marshall) [HV4708 .G46 2013 DVD] – This film asks the difficult question: are animals property to be owned and used by humans as we wish, or are they sentient beings deserving of rights? This award-winning documentary touches on the lives of individual animals as it follows photographer Jo-Anne McArthur on a year-long journey as she photographs animal stories in North America and Europe. Cowspiracy: The Sustainability Secret (A.U.M. Films; First Spark Media; written & directed & produced & edited, Kip Andersen, Keegan Kuh) [S589.75 .C69 2014 DVD] – Feature-length environmental documentary following an intrepid filmmaker as he uncovers the most destructive industry facing the planet today, and as he investigates why the world’s leading environmental organizations are too afraid to talk about it.